KCU operates on a rolling admissions cycle. If there are any questions please email the admissions department at PsyD@kcumb.edu. The following information is required to complete your application. An applicant resume should include any relevant information or activities pertaining to: education, work/employment, extra-curricular activities, community service, leadership roles and shadowing hours (if applicable). You will upload your resume from the application portal. All coursework taken at a college or university must be submitted for review. Unofficial copies of transcripts are acceptable for reviewing purposes. 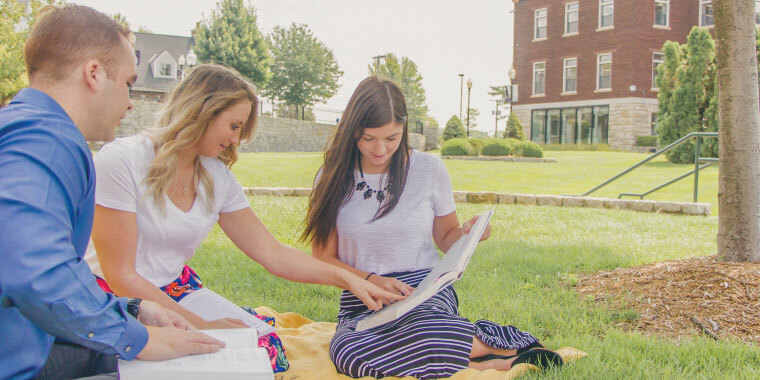 Students who are then accepted and plan to matriculate at KCU will need to submit all official transcripts from any college or university attended. These should be submitted electronically, if available, to KCU from each institution. If electronic transcripts are not available, your college may mail them directly to: KCU Office of Admissions, 1750 Independence Avenue, Kansas City, MO 64106. Submit three letters of recommendation written by faculty members or colleagues who can speak to your potential for academic success in a doctoral program. Letters must be dated no more than two years prior to KCU entry. Letters may be emailed directly to KCU at psyd@kcumb.edu, through, Interfolio, Virtual Evals, or mailed to KCU Office of Admissions, 1750 Independence Ave, Kansas City, MO 64106. Electronic submission (email) is preferred. Letters of recommendation should not be handled by the applicant; the letter writer should submit letters on the applicant’s behalf through any of the ways listed above. Prepare a two-minute video describing how you came up with your example of grit in your essay. Why are these examples important to you? Use this opportunity to show off your interpersonal and communication skills. Submit by emailing your video. Be sure to include your name as the title of the video so we can match with your application file. In order to request Academic Standing, you must first be accepted into the PsyD program. You may then apply internally by June 1st or six weeks prior to the start of the semester. For more information visit the PsyD requirements page.